More than 15 screens with custom set-up, operation & system monitoring information. 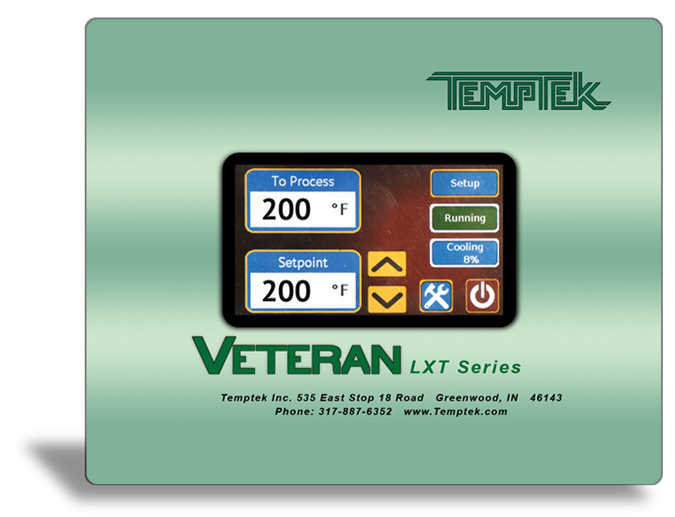 Home screen includes continuous setpoint and to process temperature. Digital flow rate display and from process temperature on informational screen. Standard shut down pump seal cooling feature. 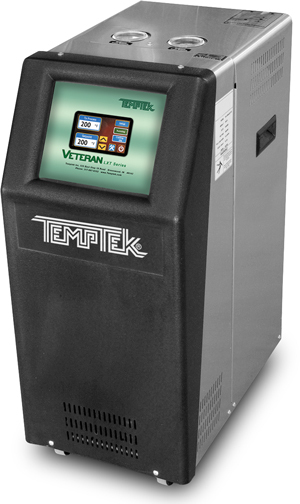 User configurable automatic start-up venting. Operates exclusive AVT modulating cooling valve. Drop in replacement for older Advantage HE series control instrument.